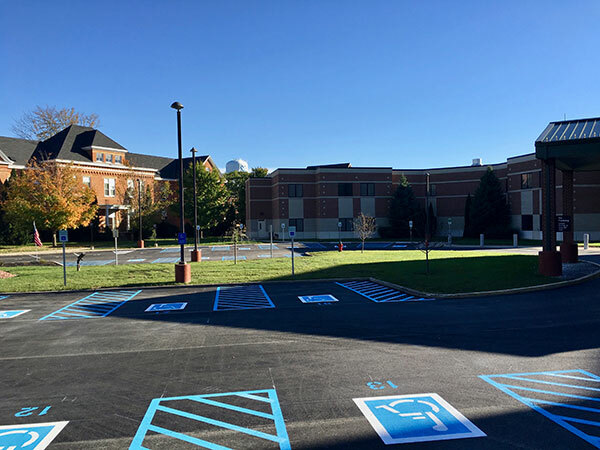 ADA Signage - Accurate Striping, Inc.
Situation: Based on an aging out of date parking surfaces and designs, the client repaved all facilities parking and drive areas. Task: Post repaving to design layout and install current ADA (American With Disabilities Act) Striping configurations and signage. Action: Survey and measure existing parking areas to be reconfigured with ADA compliant striping and Signage. Install appropriate signs and post to areas as necessary based on various site factors such as existing landscaping, vegetation and structures. Result: Client areas are now barrier-free, with functional ease of use. All areas meet and exceed current ADA code. Client representative expressed satisfaction in how striping and signage are neatly aligned and plenty of stall space for patronage.